Two of my favourite things, chocolate and coconut! I usually make bliss balls with sunflower seeds or a combination of seeds and nuts – my walnut cookie dough energy bites were my top pick until this recipe came along. It’s not that I don’t still love those ones, it’s just that these taste like healthy bounty bites. There is a recipe for raw bounty bars on the blog but those aren’t an everyday thing, and energy balls are! Graham likes to have them to take to work and I’ll eat a couple a day after biking or any kind of physical activity to avoid a blood pressure crash. 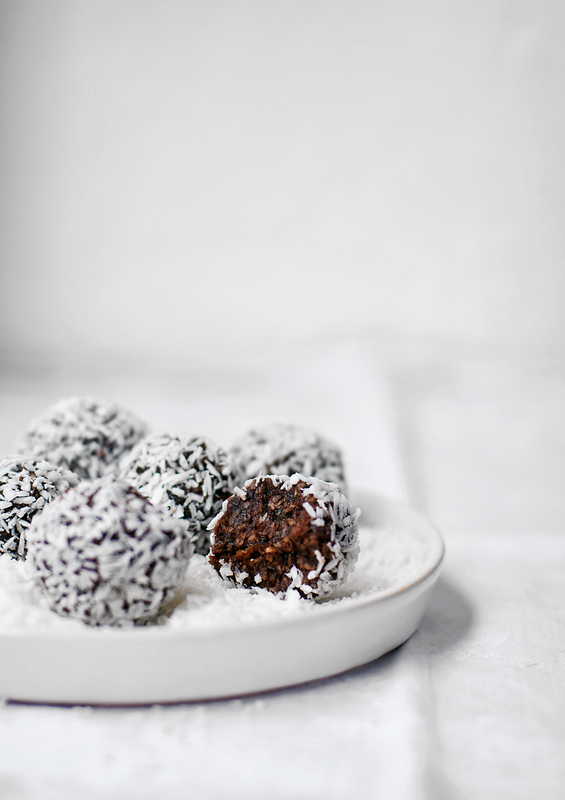 The base of these is made with hemp hearts, so these are creamy bites with plenty of coconut and a rich chocolate flavour. The hemp just mixes right in with everything else and you don’t even notice it, so it’s more like a chocolate-coconut truffle. I’m digging it. I made another batch yesterday and we only have five left, hah. 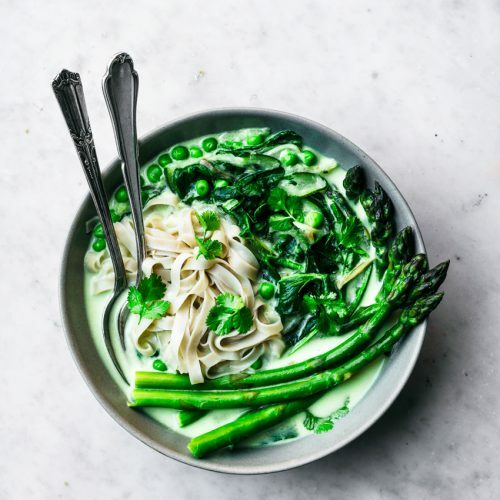 I’m using all my willpower not to eat another one before dinner – if you have a bit of a sweet tooth but you’re trying to cut down on refined sugars, this is a great idea. Of course dates are pretty high in fruit sugar so don’t go crazy, but it’s still better than a bar of milk chocolate. 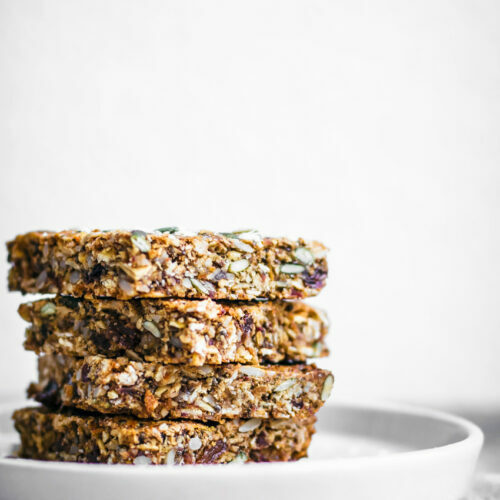 The protein, fat, and fibre help with slowing down your absorption of the sugars so you shouldn’t crash. We’re both very active and (too) skinny so I feel good about eating higher calorie snacks like this in higher quantities, but I try to stick to one or two a day especially if I’m not going to be running around as much. They’re a total lifesaver if you need a boost! A quick note about dates before I get to the recipe- I know almost every plant based blog out there tells you that only medjool dates will work, and that’s a lie. I use cheap little seeded dates (deglet noor). They work just as well, and they’re less than half the price. You can of course use medjool if you prefer or if they’re easier to find where you live. 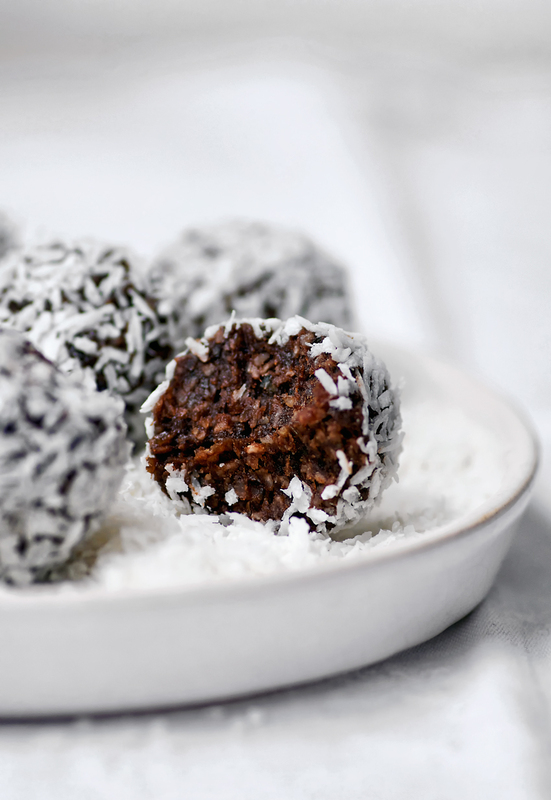 Raw & vegan chocolate coconut bliss balls, like a chocolate bar in energy ball form. These nut-free bites are made with hemp hearts as the base and ultra healthy raw cacao. Place the hemp, coconut, dates, cocoa, coconut oil, vanilla, and salt into a food processor fitted with the blade attachment. Blend on high for 1-2 minutes, or until a dough that holds when pressed forms. Use your hands to form small balls, about the size of walnuts, and roll them in the extra coconut. Store in the refrigerator up to one week or in the freezer indefinitely. • I've also made these and not rolled them in more coconut. Still good, but not as fun! * You may need to soak your dates if they're very hard. 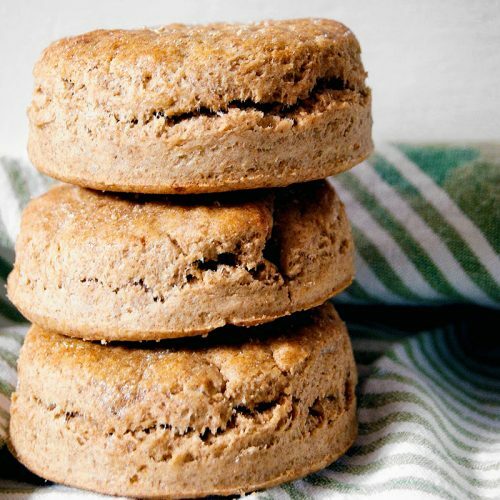 When I made these yesterday my dates were semi-dry and I didn't have time to soak them, and it still worked, but I had to add a tablespoon of oat milk to get it to come together. Anything with chocolate and I'm in! They look delicious! Absolutely! Unfortunately it's super difficult to find anything in bulk in our city, and everything comes in tiny packages, maximum a kilo! I buy flour several times a week, hah. The less waste the better. Thanks, Traci!